In part one of this two-part series of blog posts, (Find the first part here.) we discussed home smoke alarm placement and requirements. In this installment, we will dive into the creation of smoke alarm laws and fire code. As mentioned briefly in our last post, there is much confusion around smoke alarm and detector requirements. Much of this stems from the fact that different states have their own sets of laws regarding fire alarm systems. There is also confusion regarding finding the proper codes and applying them. The fact that fire regulations change quite frequently only adds to the confusion. Our goal with this post is to shed some light on how fire detection laws are created. We’ll start by discussing where these regulations come from, and where you can find them. From there, we’ll examine why these codes change so often, and try to shed some light on some common code misconceptions. Let’s begin with a look at the codes that states use to create their own smoke detection laws. What Codes and Standards are Used to Create Smoke Alarm Requirements? The International Code Council (ICC) and the National Fire Protection Alliance (NFPA) create the codes and standards that dictate the guidelines for a number of safety measures. They apply to several industries, including building, mechanical, and plumbing. 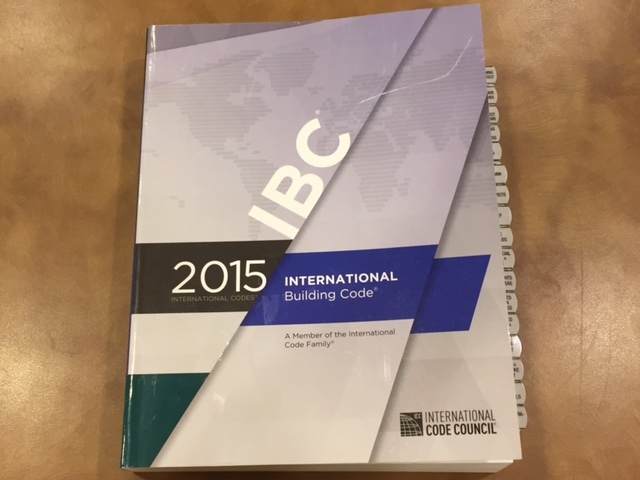 The most relevant code for smoke alarm requirements put out by the ICC is the International Building Code, or “IBC.” The code that provides guidelines for fire alarm system design is the National Fire Alarm and Signaling Code, or “NFPA 72.” For this reason, fire system designers reference this book frequently. NFPA 1, the National Fire Code, covers the installation of these systems as well as the inspection of systems and the investigation of fires. These features make NFPA 1 very important for fire departments and first responders. NFPA 70, the National Electric Code, provides specific electrical requirements for system installation. System installers turn to NFPA 70 to help determine such details as what size and type of wire a system requires. A fire code doesn’t become enforceable law in your state, though, until your state government adopts these codes as the law. In addition, the ICC and NFPA regularly release updated editions of their codes, but even if a state has adopted a previous version of the code as law, the new edition doesn’t become law until the state adopts that code again. Due to the speed that government works, this sometimes means that 3 or 4 editions of the code have gone by without being adopted. It would not be unheard of for the 2007 edition of NFPA 72 being the code adopted as law and in force even though the 2010, 2013, and 2016 versions have released by NFPA. Where Can I Find Massachusetts Smoke Alarm Requirements? The International Building Code is one of the most important books that security companies reference when installing fire alarm systems. Massachusetts recently adopted the 2013 version of NFPA 72 and the 2015 version of the IBC. However, even though states adopt these codes, they also create their own smoke alarm requirements. For example, in the past Massachusetts had amended NFPA 1 by striking out chapters 1 through 11 and 13 through 50, and inserting their own custom revisions. For the 2013 version of NFPA 1, however, the state has amended 14 of these chapters (along with chapter 54) and amended the other 36. The state also included 211 pages of amendments to the 2015 version of the IBC. Massachusetts both adopts and amends codes through the same state-wide law. The regulation that adopts and amends the fire code in Massachusetts is 527 CMR. The Massachusetts Residential code is 780 CMR. Therefore, if you are unsure what version of a code you should reference, looking at these two state regulations will point you in the right direction. 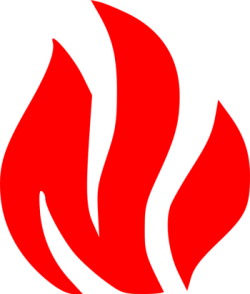 Massachusetts General Law also contains requirements for fire prevention. M.G.L. 148 contains 60 sections (some with the own subsections) on this topic. The hierarchy regarding fire alarm requirements is as follows: 1. State Law 2. International Building Code 3. NFPA Code. The Fire Safety Division section of your state’s website is a great place to find resources on local laws and fire code. In Massachusetts, the Fire Safety Division webpage has a lot of helpful items. For example, if you wish to sell your home, you can find easy resources that outline the steps you must take. You will also find their Amendments to codes. Any changes that Massachusetts makes to the IBC and NFPA are included for your reference and research. Since inspectors put state law above the fire code, it’s important to take the state’s amendments into consideration. Information on specific codes can be found on their crauthors’ websites. The ICC website includes resources that outline major changes to the new IBC code, as well as the opportunity to purchase different versions of the full code. The Codes and Standards section of the NFPA website includes a searchable version of NFPA codes. Their site also includes a glimpse into the process behind code creation, as well as valuable research statistics and information on fire causes and prevention. Why Do Smoke Alarm Requirements Change? 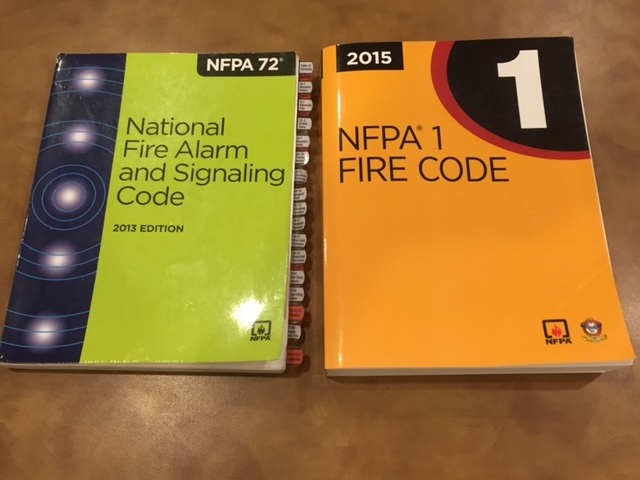 NFPA 72 and NFPA 1 are two of the industry’s foremost resources when designing and inspecting fire alarm systems. Because fire code deals with life safety, changes frequently coincide with major disasters that take lives. For example, in 2003 a fire at The Station nightclub in Rhode Island killed 100 patrons and injured 187. After this tragedy, the NFPA made sweeping changes regarding sprinkler systems and crowd control in similar venues. Likewise, the creators of other national codes take fatalities and injuries from home fires into account when creating residential smoke alarm requirements. As an example, we mentioned in our last post that houses built in 1997 or later require smoke alarms in every bedroom. Many fires start in bedrooms, and the detectors in hallways often do not detect smoke in time for the homeowner to escape. This code change addressed a growing number of tragedies that could have been prevented with additional smoke protection. In addition to reacting to tragic events, the NFPA changes fire code based on public input and changes in technology. One of the most confusing aspects about fire detection requirements is that the rules change based on different factors. For example, we mentioned that smoke detectors connected to a fire panel require an annual inspection. While you should always test your detectors regularly, there is no required annual inspection for a non-monitored smoke alarm system in your home. This is not the only discrepancy between monitored and non-monitored systems. For houses built before 1975, low-voltage smoke detectors (the type that connect to an alarm panel) do not require dual photoelectric and ionization detection. Alarms that are not part of a system do require both ionization and photoelectric detection, as we discussed in part one of this series. Battery regulations are also somewhat inconsistent, and fire code based on this topic is often misunderstood. You may recall from our previous post that wireless smoke alarms installed in homes built before 1975 must have a 10-year battery. However, smoke detectors that are part of an alarm system only require a battery that lasts for one year. Another common misconception is that the code for required alarms must be followed for all smoke alarms. Non-required smoke devices follow different rules than required devices. Even in homes built after 1975, you may install battery-operated alarms in non-mandated locations. For example, a house built in 1996 does not have to have smoke alarms in every bedroom. If you wanted to add wireless smoke alarms to the bedrooms, you could do so even though your smoke alarms in required locations must be hardwired. Finally, while many people will often use the two terms interchangeably, smoke alarms and smoke detectors are actually two different devices (as we touched on in part one of this series). They also have separate code requirements. Smoke alarms are self-contained devices with a built in sounder. When they detect smoke, they sound their own siren. They don’t always alert other alarms in the building. They also never communicate with a control panel to alert first responders. Someone on site who hears the sounder would need to manually call 911. Smoke detectors, on the other hand, do communicate with each other via a control panel. The control panel is often monitored to create an automatic response from the fire department. These devices detect smoke and sound a centralized siren that’s part of an alarm system. They ensure the whole building is alerted to a fire, not just the area that has a fire. These devices sometimes have their own built in sounder as well. Not knowing how to differentiate between these two types of devices leads to more confusion around fire laws and regulations. If you have read both parts of this series, you should now know what the law says about smoke alarms and what goes into making the law. As we also pointed out in our last post, meeting minimum requirements is one thing. Performing the bare minimum is not always the best way to ensure your family and home is safe. Whether you already have a system in place or are designing one from scratch, feel free to contact us with any questions you may have. We would love to help you design a system that will not only make the local fire inspector happy, but will also protect you and your family from life-threatening fire and carbon monoxide hazards.